Back in the early nineties, Commodore Cracker fanzine contacted Hackersoft and requested a cheat program for each issue. 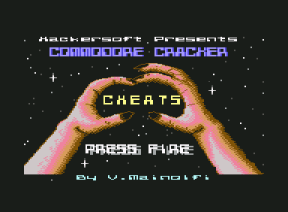 Almost in the same vain as Cheat & Beat, Commodore Cracker Cheats pulled together all the cheats from the previous issues covertape games and placed them into one single load. 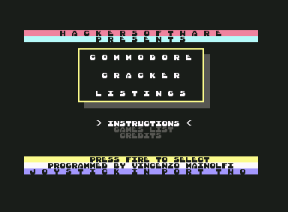 PRODUCTION NOTES: The first in a series of five Commodore Cracker cheat programs. 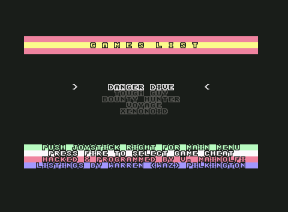 How it worked was: Warren sent the listings; the listings were built into the cheat system, and then the completed program was sent on tape to Commodore Cracker. 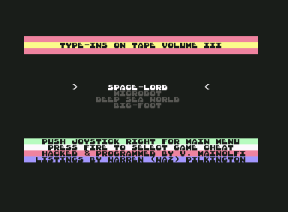 The whole program is produced in BASIC, with the addition of a new character set. PRODUCTION NOTES: Only five game cheats added to this release. That was enough really as it would take around 2 hours to produce each program - that includes the testing. PRODUCTION NOTES: This is where the numbering starts to go off course. For some reason, there are two versions of Volume 2. The only explanation is that this program was numbered incorrectly and it wasn't noticed until it was released. This should have been Volume 3. PRODUCTION NOTES: Unfortunately, there are only four games in this volume. Life started to get a little hectic around this time and Hackersoft started to push out loads more programs and demos. PRODUCTION NOTES: This was the first and last time that a high-res image was to appear in the Commodore Cracker cheat collection. 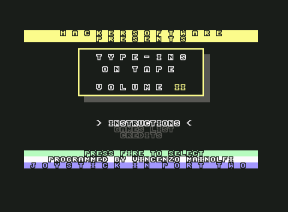 It was decided by Hackersoft that time was better spent producing other pieces of software for the C64 fan base and so this was to be the final volume.